What Does Employee Engagement Mean? Because you work so hard to provide your employees with the best resources, you know your company has awesome benefits. But if you’re anything like most HR decision makers, you’ve probably had your share of worries about how new programs will go over. You know that old familiar feeling. You’re getting ready to launch a new program. The whole HR team and your executive leaders are on board with making it work. You’ve used every available method to be sure it’s promoted and marketed to employees. The start date is set. But through it all, one thought keeps haunting you: Will they engage? We’ve all been there! And if you’ve ever launched a program that didn’t take off with employees as much as you’d hoped, you know having those fears confirmed is even worse than the anxiety of the launch. Well, we have some really good news for you about unlocking employee engagement: it can happen. In fact, we’ve seen it happen time and again after companies shed engagement myths and embrace the essence of real engagement—behavior change! At SmartDollar, we’ve seen hundreds of companies transformed when their teams engage with our financial wellness program. We help companies help their employees get rid of bad money behaviors and pick up good ones. 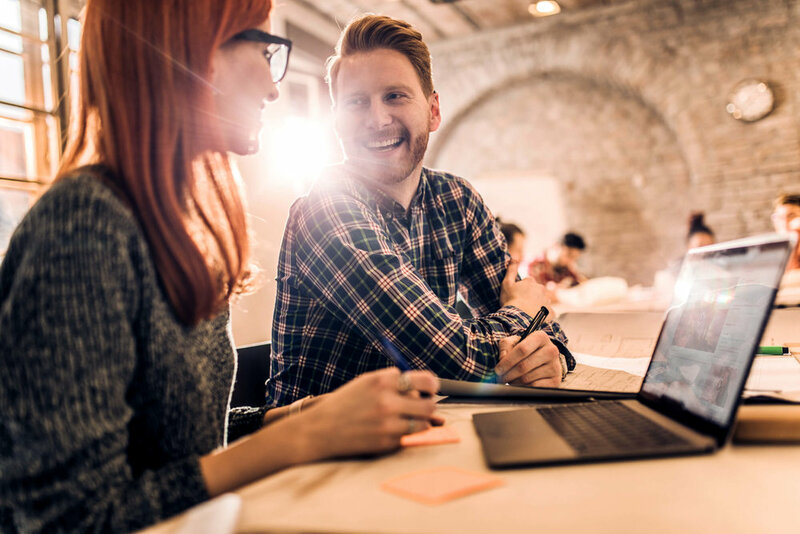 To see how we can make that happen for your organization, let’s examine several myths and misconceptions about employee engagement, then consider the true definition. Myth #1: Enrollment Means Engagement. If you’ve bought into this myth, don’t beat yourself up —it’s pretty popular in the HR world. At some point in our careers, most of us have fallen into the belief that signing people up should be the top priority for getting employees engaged with company benefits. But if you think about it, it’s obviously not enough. After all, no matter how lovely the engagement ring, putting it on your finger doesn’t mean you’re married; nor does registering for a new program directly cause anything big to happen in your employee’s life. Fact: Enrollment Means Nothing Unless It’s Followed by Action Steps. Joining a gym, saying yes to emails, or creating a user account that gives you access to new information—these are all great first steps. But until an employee starts doing some reps or reading some articles, nothing about their finances is going to change. So if you’ve been settling for mere enrollment, it’s time to push for something more. Myth #2: We Know They’re Engaged Because They’re Using All the Videos and Tools! To give credit where it’s due—if you’re proving engagement by relying on data or word of mouth to determine if employees are using videos, apps or tools, you have gone further than those who are satisfied with high enrollment. But you still need to go much further! Listen, we’re huge fans of convenient tools, inspiring content and informative videos. In fact, we’re busy creating all of these things and more to help employees with financial wellness. But if it doesn’t lead to real and lasting behavior change around money, it’s not going to get them over the finish line. Fact: Written Budgets, Completed Quizzes or Video Views Alone Don’t Guarantee Financial Progress. To put it bluntly, reading every book ever written by all the smartest money experts in the world still means nothing if readers don’t make the move to get out of debt. Persuading them to make budgeting a monthly habit or convincing them of the importance of having an emergency fund won’t be enough either. Those are the key areas of financial behavior where most of your employees could use a lot of inspiration and encouragement. And unless your financial wellness program is helping them affect some serious behavior change, it is failing, and your employees are not truly engaged with the program’s primary message. Myth #3: There’s No Practical Way to Measure Engagement and Behavior Change With a Benefit. Even if you agree that just signing up or using a program are insufficient to prove engagement, you may still buy into another common myth: it’s hard or impossible to measure engagement the way we define it in terms of behavior change. Here’s the truth! Fact: Your Company Can Get Reliable Reporting on How Your Team Is Progressing Financially (and You Really Need It). At SmartDollar, we’ve found that behavior change is definitely measurable. And we’d love to show you how easy and inspiring it can be to keep regular tabs on how your company is progressing with financial wellness, both for individuals and the aggregate. Through our aggregate behavior change reporting, you’ll be able to check up on total employee turnaround with budgeting, emergency funds, video lessons and debt. And the personalized dashboard and engagement points make SmartDollar a dream for employees who like visuals of their progress with ongoing metrics including: action steps completed, lessons learned, total debt paid off, total dollars saved and overall financial turnaround. Would you believe that after only one year in the program, the average SmartDollar user typically sees a financial turnaround of over $15,000?! When you offer employees SmartDollar and see how easy it is to launch and interact with, you’ll quickly realize why we have a 25-year track record of helping millions of people change the way they handle money. As for the employees, it’s easy for them to see what an undeniably positive impact it’s having on their wellbeing. And here’s possibly the best part about this kind of employee engagement: its power to heal and drive overall company wellness. Having healthy and happy employees is obviously good for them, but it’s also great for your company’s morale, culture and bottom line! Are you beginning to see the awesome potential for lasting behavior change and real financial wellness SmartDollar could bring to your company? We’d love to get to know you better. Visit SmartDollar.com and click on the Contact Us form under Support to let us know what we can do to help you today! February 2019 SmartDollar Contest Winners! Copyright © 2019 Lampo Licensing, LLC. All rights reserved.